The Whistle Android Finder PRO is supreme Android finder (phone locator) application which helps many people locate their Android device with just a simple WHISTLE after losing it, forgetting it somewhere or being hidden somewhere in a room on a desk behind papers, in a briefcase or in a coat pocket etc. The free version of this application named Whistle Android Finder FREE (also available in Google Play) has reached nearly 2,000,000 downloads!! But now, after reading and taking into account more than 8,700 user comments, wishes, and suggestions, it is time to upgrade the application with new features, several important whistle engine improvements, a better user interface, customized notification melodies, lower battery consumption and much more. This is the story about how Whistle Android Finder PRO was born! It is possible to choose among 5 different whistle detection sensitivity levels! Whistle Android Finder PRO is just ready to adapt to any Android device regardless of the specifics of integrated acoustic components. Once your whistle sound is detected, the Android device will respond to your whistling with playback of preselected audio notification signal. Furthermore, the display of a "sleeping" Android device is illuminated in order to easily locate your device in your bag or in a dark room for example. Under the preferences tab a user can also select (and approve) the usage of maximum possible volume for audio notification regardless of current media volume settings. 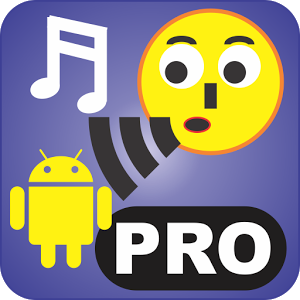 However, Whistle Android Finder PRO is designed to resume your current media volume when audio notification is not played. Whistle Android Finder PRO is based on sophisticated but computationally optimised Digital Signal Processing techniques to analyse captured audio signals from the environment and search for distinct time-frequency patterns of a typical human whistle. The incorporated DSP algorithm is not signal energy based, therefore this whistle detector is much more accurate and reliable than similar applications found elsewhere on Google Play. Remember, just whistle and your Android will respond!